At USA Automotive, we know that it’s important for drivers to pay attention to the recommended interval services to help maintain their vehicles. 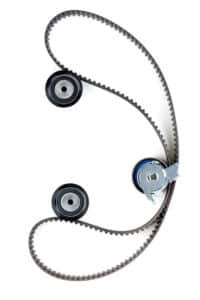 Typically around 90,000-100,000 miles, your auto manufacturer will recommend that you have your timing belt replaced. Replacing your timing belt is important because choosing to delay it puts your vehicle at risk for serious damage. A weakened or loose belt can cause a knocking or rattling sound under the hood, and if it breaks, it could cause your engine to need some major repair. Our ASE certified technicians will examine your timing belt to see if there is any wear. Cracking can indicate excessive wear and a need to immediately replace your timing belt. Glazing occurs when your timing belt has a shiny appearance. This is not a good sign as it indicates that the timing belt is not providing the type of flexibility it needs in order to properly function. 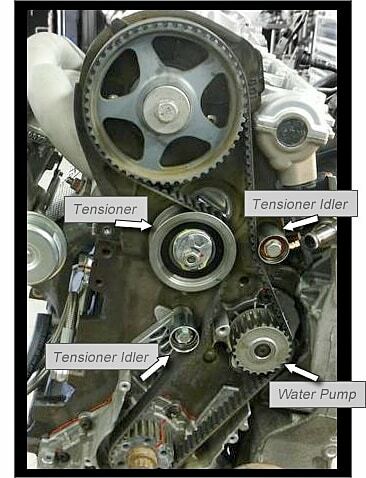 If you are located within the 27604 or 27610 area and you’re noticing these symptoms before the recommended mileage interval, it may be time to fix your timing belt. 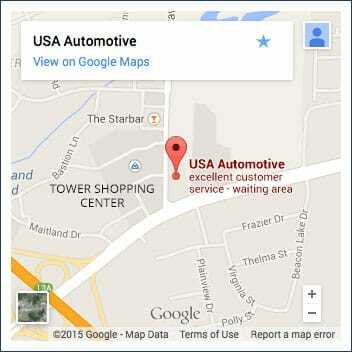 We recommend that you bring your vehicle into our shop, located off of Trawick Road in Raleigh. Our team will diagnose the problem and consider factors like your vehicle’s age, mileage, and typical driving conditions before determining whether or not the belt needs to be replaced. Our team is staffed with ASE Certified technicians who have the training and experience to offer timing belt repair and/or replacement on all makes and models of cars, vans, crossovers, SUVs and trucks. We use state-of-the-art diagnostic equipment to ensure that we provide the most accurate service possible, and we only use OEM or the highest quality parts in every service. When your vehicle’s timing belt is replaced, you can be confident that the new belt will last through the next recommended replacement. In fact, we stand behind our parts and service with a leading 3 year/36,000 mile warranty. Our team knows that purchasing a car is one of the bigger investments you’ll make, and it’s our responsibility to do what we can to extend the life of your vehicle. To help save time and money on labor, we may recommend replacing your water pump at the same time that we replace your timing belt if the timing belt is ‘water pump driven’ on your specific model car. Let our team take care of all of your vehicle maintenance, especially large interval services like timing belt replacements. At USA Automotive, you and your vehicle are in good hands! Our goal is not only to provide your vehicle with a quality timing belt service, but to also help you maintain a healthy vehicle for years to come. If your vehicle is do for an oil change, brake service, or is in need of general service/repair, let us take care of it! We know that bringing your vehicle for service can be inconvenient, so we work hard to provide you with a hassle-free experience. Give us a call at 919-249-5295 or use our online appointment request form for your convenience. We look forward to providing your vehicle with the best timing belt service in the Triangle!